Woot! 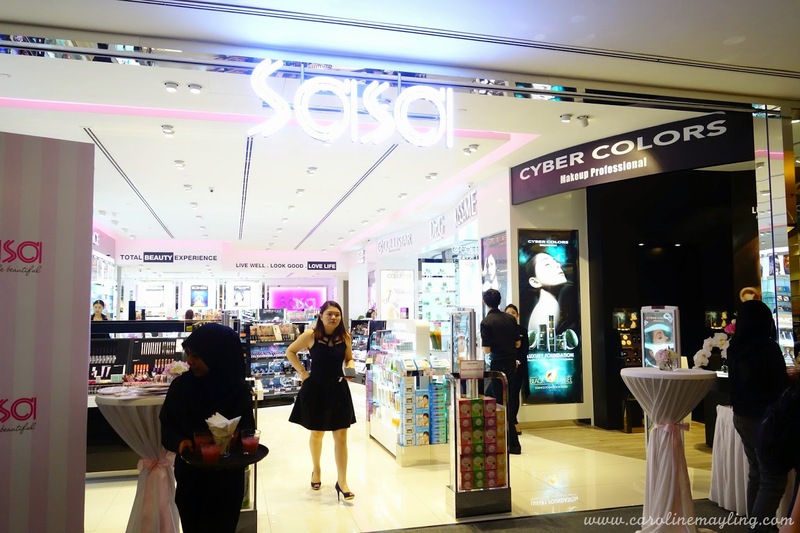 SaSa has successfully launched its very first lifestyle concept store in Malaysia! 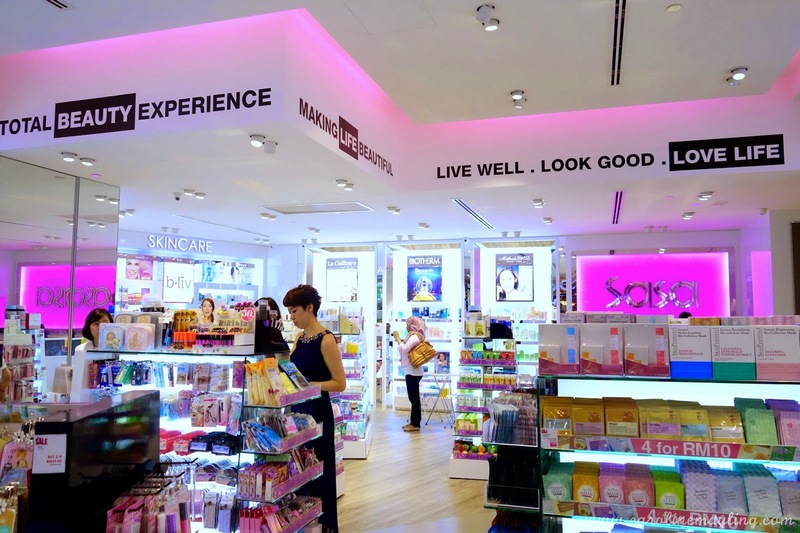 The lifestyle concept store is much more spacious compare to their normal stores and the best part (for me and those who are staying around Subang Jaya area :p) is it located at LG1 in Sunway Pyramid! 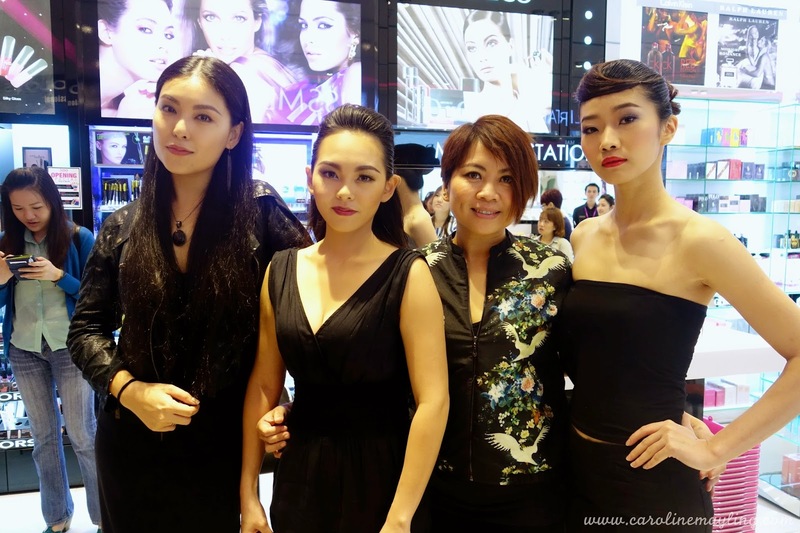 Everybody knows that SaSa is the leading one stop beauty store in Asia with varieties of product from hair to face to the body and health. 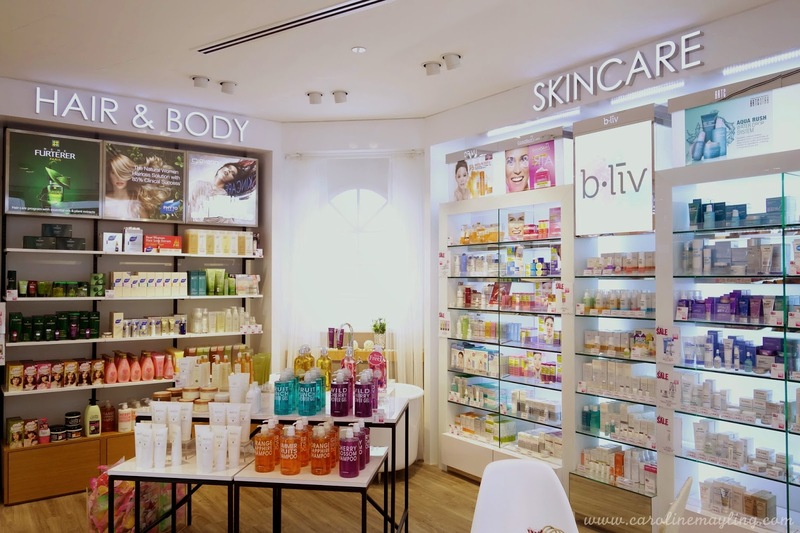 With the new spacious lifestyle concept store, SaSa offers more services to their loyal customers by providing extra services such as facial treatment, express makeup services, makeup consultation and skin consultation. 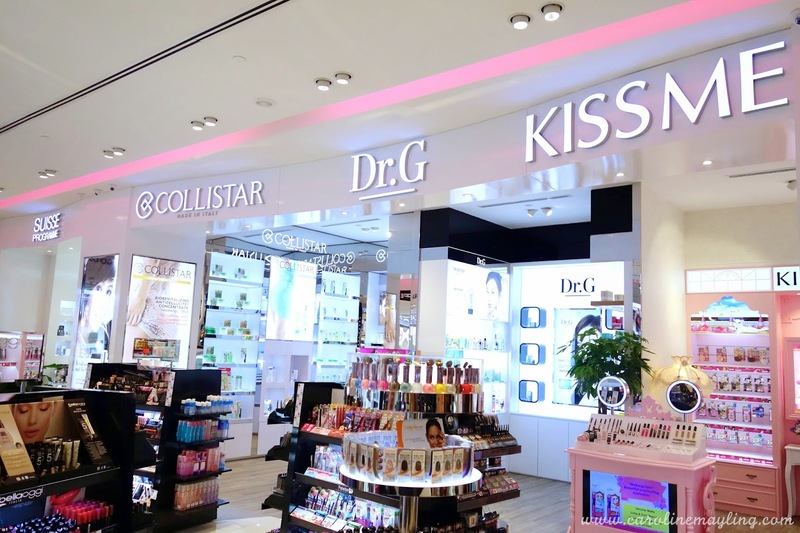 There's also two makeup station and consultation station here, which also means customers need not to wait long for their turn to get any services from SASA. 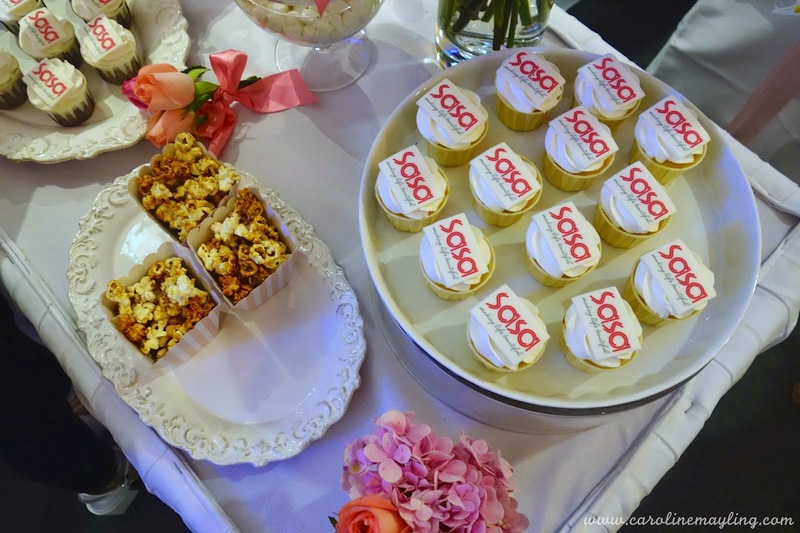 Of course, we all know that SASA is well known for their friendly and helpful staffs too! 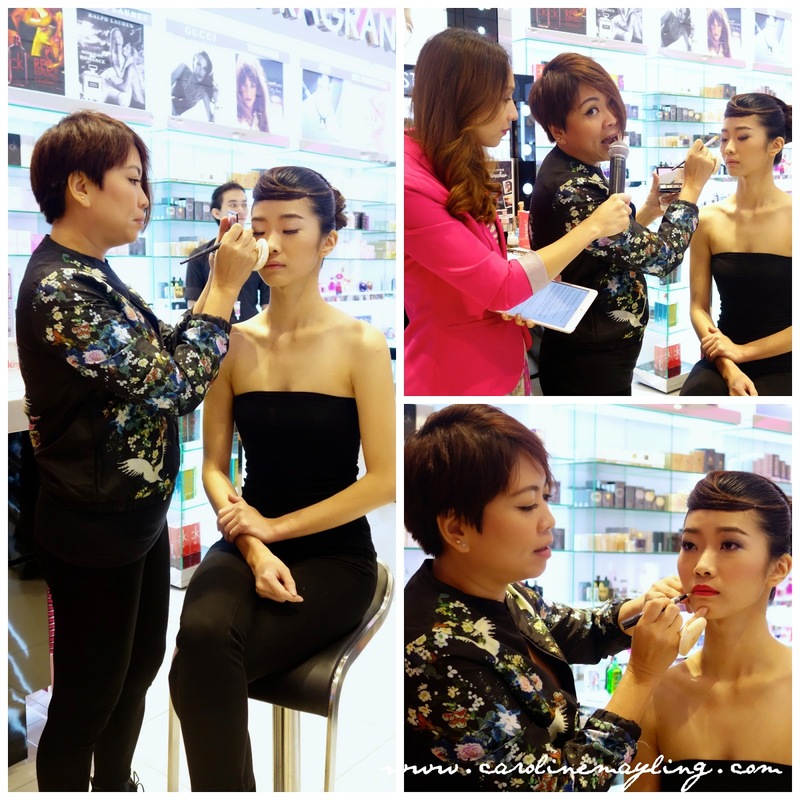 On this special grand opening day, professional makeup artists shared their tips and tricks on how to apply makeup on your face with the guests. 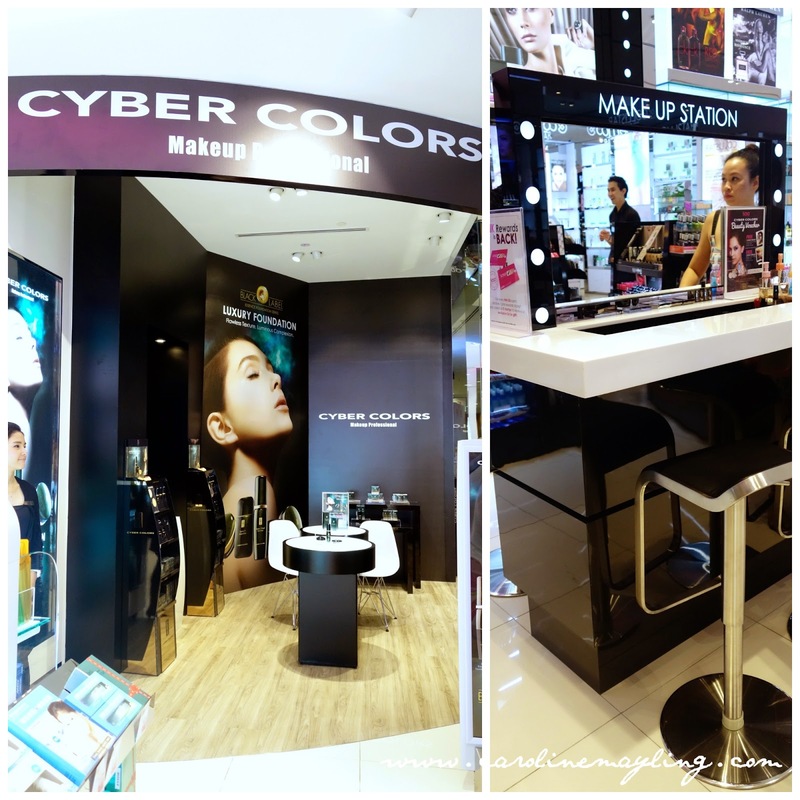 We're so lucky as we get to enjoy the live demo of Autum/Winter makeup appropriate look by using Cyber Colors and ARTDECO cosmetic products. 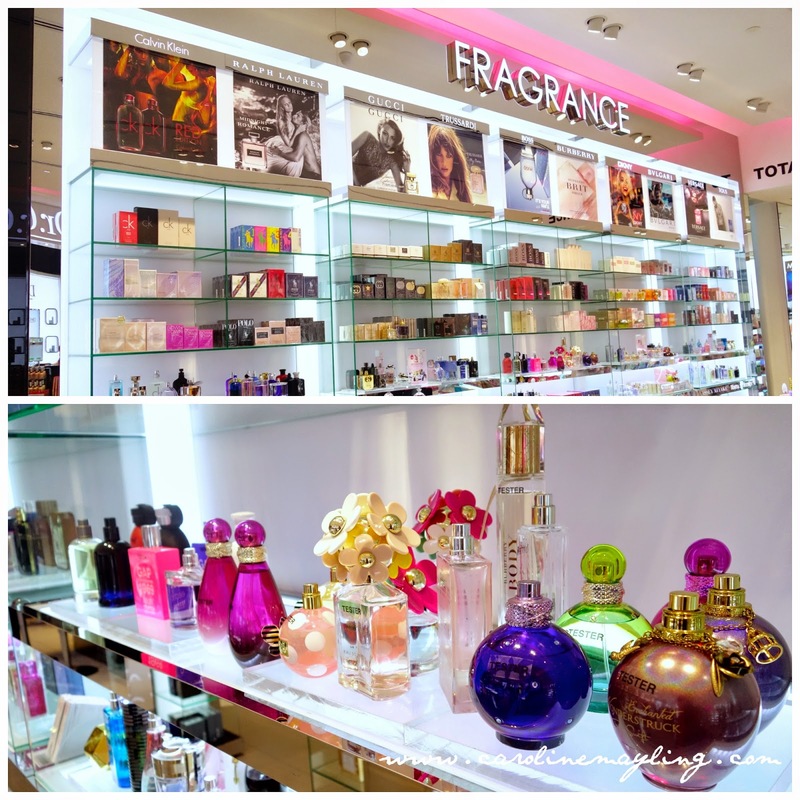 If you ask me about which is my favorite corner in the new SASA's lifestyle concept store, it would be KISS ME corner! 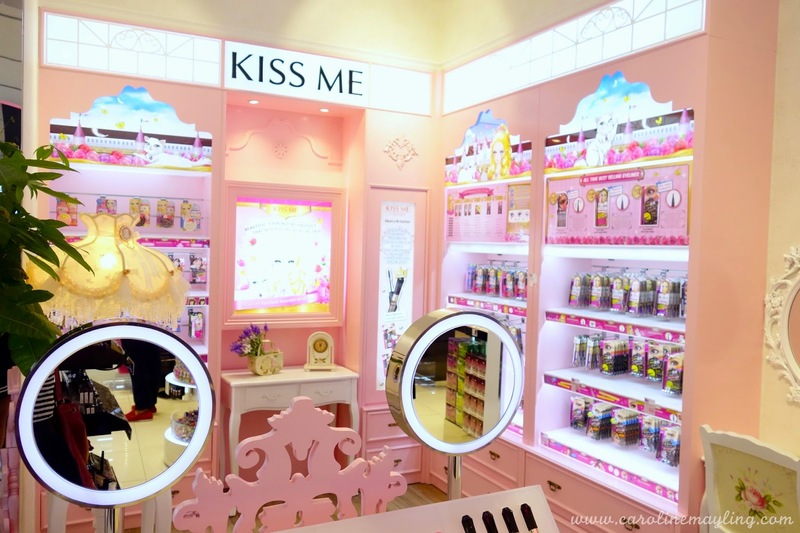 In this section, you can find every single KISS ME's products nicely displayed as well as perfect for a quick princess photo-shoot session! 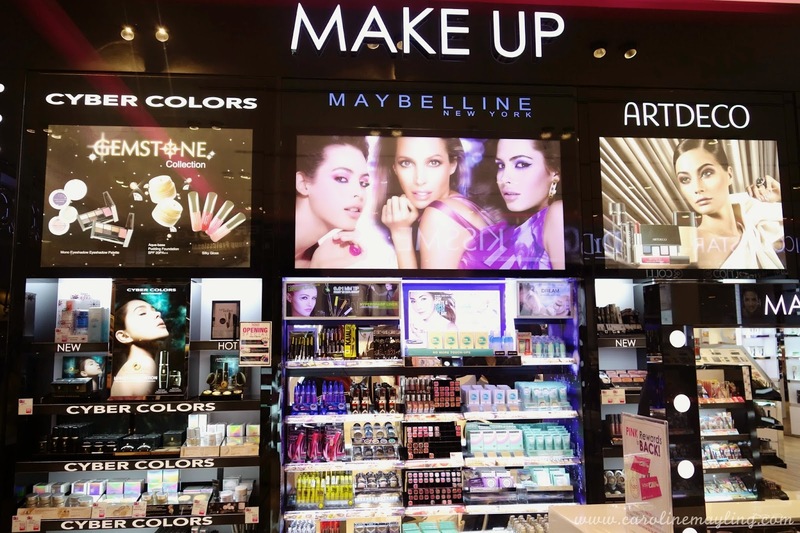 The entire section is baby pink in color and it has such a princess-y feels whenever I entered this particular section. Psst! 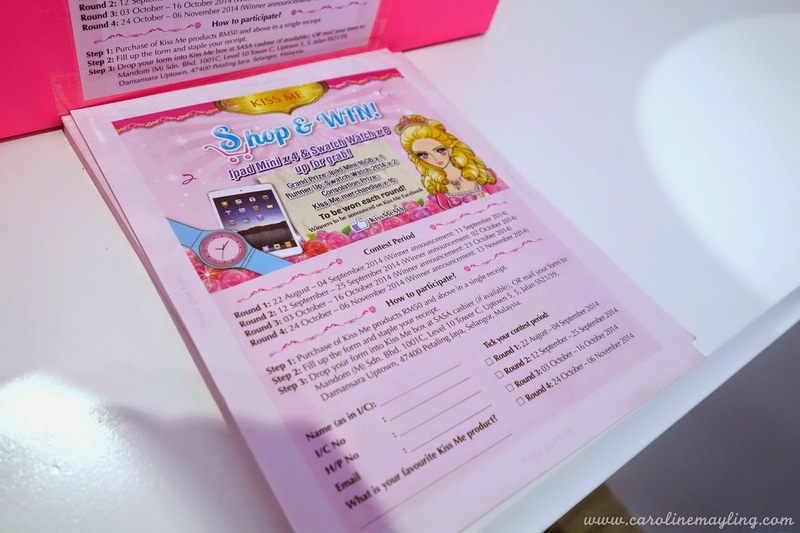 Do not miss out the contest here! Oh! 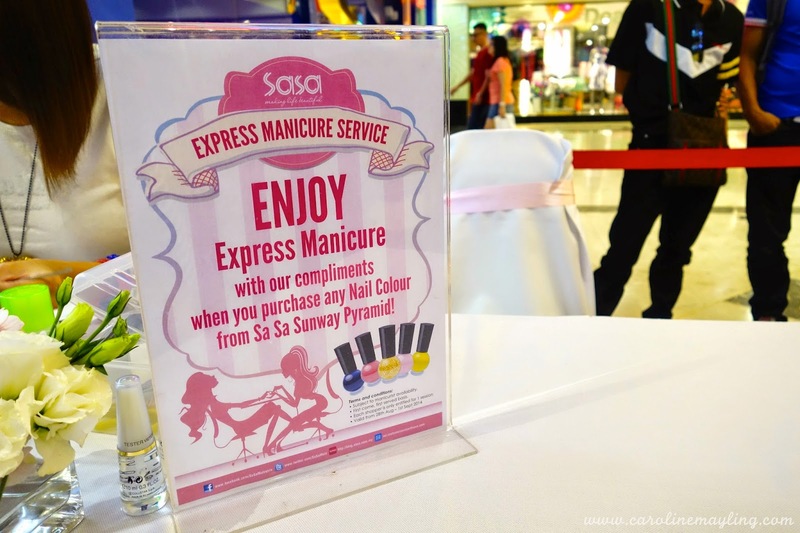 You can also enjoy an express manicure session when you purchase any nail color from SaSa Sunway Pyramid! 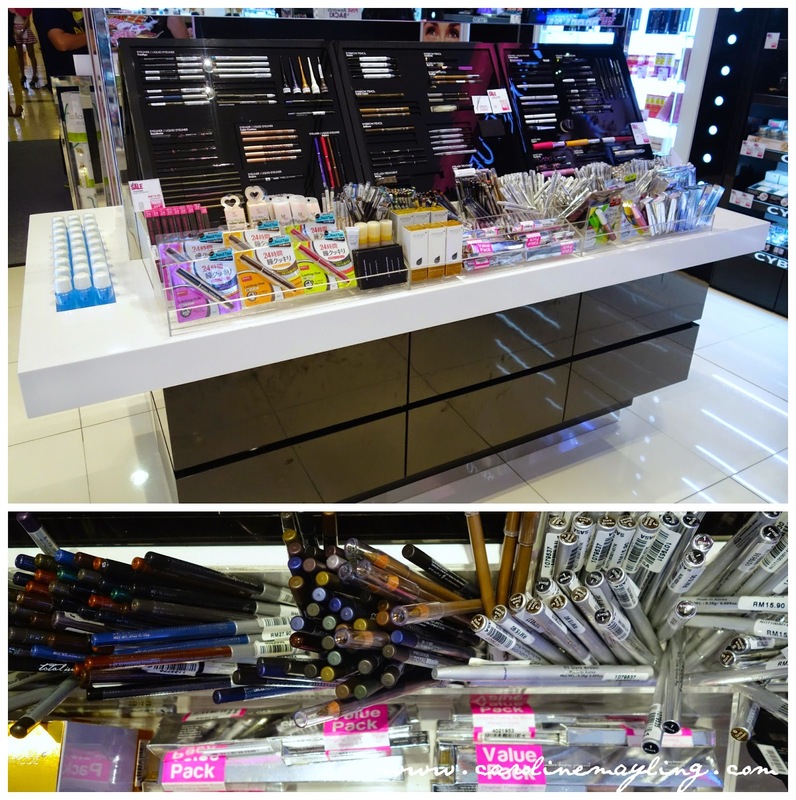 It is first come, first serve basis and only valid from 28th Aug till 1st Sept 2014! 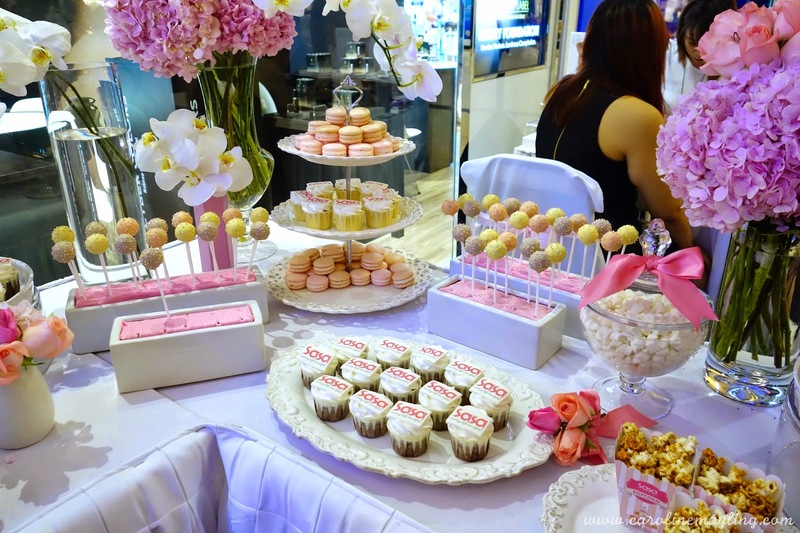 We're not only entertained by the happy dance performance and live makeup demo, but also some sweet treats - cake pops, jelly beans, macarons, cupcakes, and more! No one can say no to a cute photo booth! We had fun taking photos away at the photo booth and bringing all the printed photos back too. Congrats again to SaSa for another milestone achieved!